I’m going to be honest here and this should come as no real shock to those who know me….. The FOOD was the BEST part of Boston! And we didn’t just randomly pick places, I researched places, made reservations a month out and had a lot to look forward to! 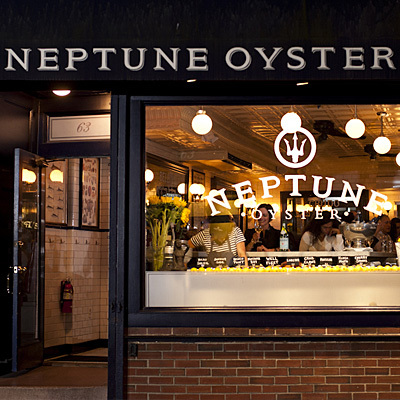 I have composed my list of …..
MY MUST EAT places in Boston for your viewing pleasure! This place is the original Cannoli! And they come in every flavor you could possibly want and desire! You will most likely stand in line and when you get up to the counter you shout of what you want, pay in cash and they send you off on your way to enjoy your treats! Worth every moment! This is in the North End/Little Italy! This place has no website, no phone and is literally a shack BUT a shack FULL of fried GOODNESS! This in Salem right on the water and I can taste those salty fried clams right now! Funny thing is the very next day via their Facebook page the Patriots NFL players ate there the day AFTER we did! This place felt just full on authentic East Coast Dive! I did a lot of research like I said and this place always popped up, it’s newer….so hip and the location was so chic! Look how cute the entrance is, you enter thru the courtyard which houses the cutest patio! This place is SMALL and you will NOT get in without a reservation might I add! 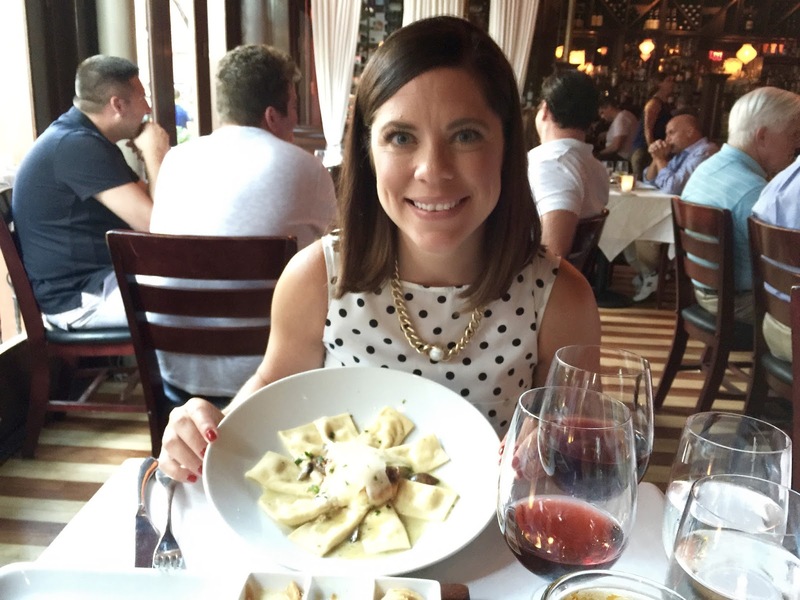 You know my favorite memories of our trip are enjoying these wonderful meals at a table with just Matt and I …. or a counter shared with strangers but enjoying the food and the wine. This is just SOME of what we had at B&G, we also had the Scallop Ceviche! 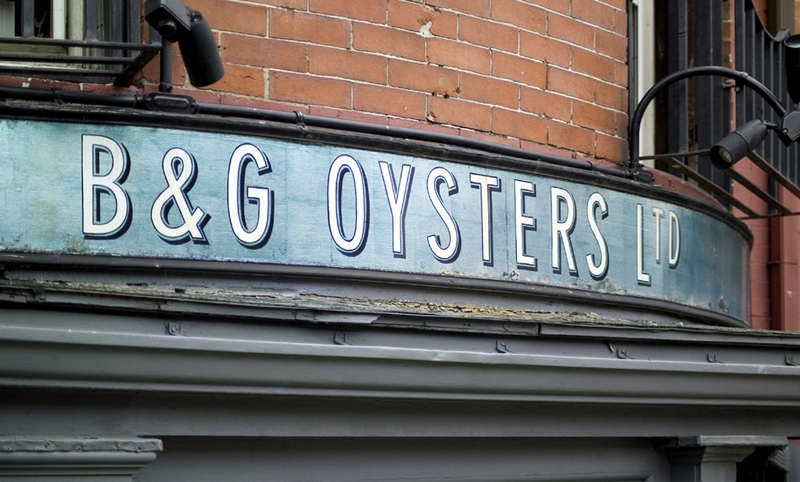 And oh ya, everywhere we went we ate our weight in Oysters…. I think that is where all our money went! This was so fun for Matt and it was FREE!! On Saturday mornings you can get a free tour of the Boston original home of Sam Adams and a fun little history lesson! When the tour is over everyone gets these cute tasting pints as a souvenir and you get to taste test 5, yes 5 of their newest beers to leave the factory! It was super fun and the gift shop had some awesome things in it! * Bricco Italian, North End Little Italy! Of course we had to have Italian when in Boston…. in the North End… In Little Italy! This place was recommended by friends and I got our reso ahead of time and it was so lovely! That plate I am showcasing is called “Ricotta Pillows”… I know and they make ALL their pasta fresh in house and we loved this meal. Our Italian Pinot Nior was perfect and we even stuffed in dessert before rolling ourselves back to our room! I saved the best for last…. sooooo good I ate it TWICE! Food & Wine Magazine named this the BEST Lobsta Roll in the US and I cannot even explain to you how right there were! Here is the thing, they do not do reservations so you need to arrive at this place NO later than 5pm to put your name on the list! They will call you when and IF you get a table. We only waited an hour but it is worth waiting MUCH much longer! This food below doesn’t look that special, I get it… but it is. Even those fries. You guys, for real. Matt got the Fish and Chips and I swear we were so fat and happy at this meal that we talk about this ALL the time! Do yourself a favor and eat at any of these places…. You will THANK ME!!!!!!!! Previous Post IVF Prayers Needed!!!! !